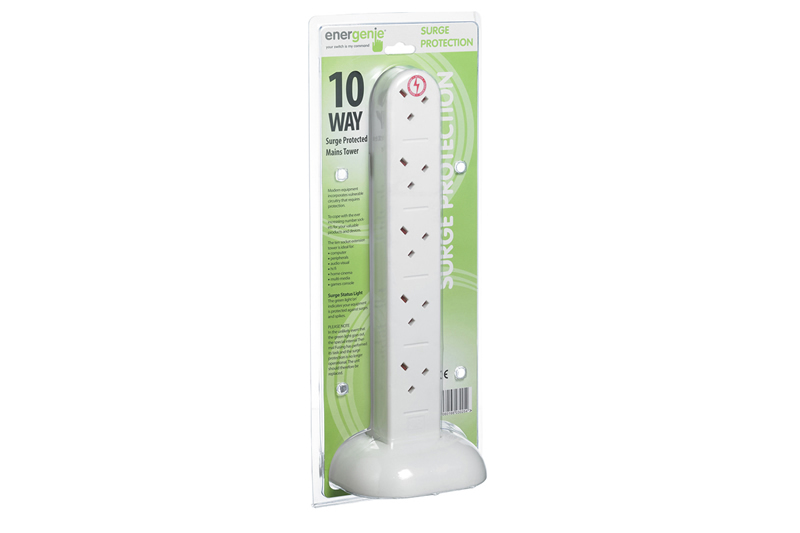 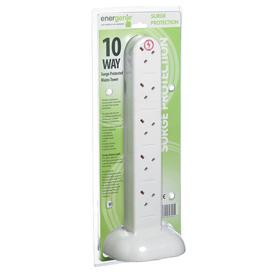 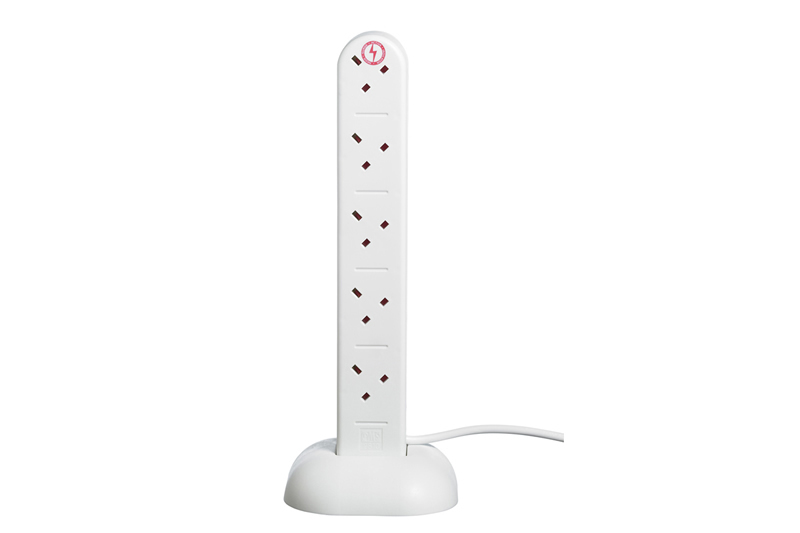 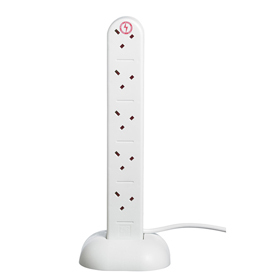 The 10 gang socket extension is a very useful addition wherever extra socket outlets are required in a hurry. 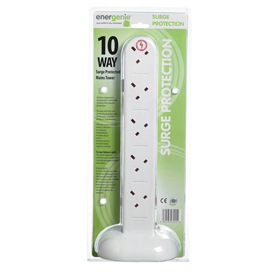 And for added protection, this version has surge protection incorporated into the unit. 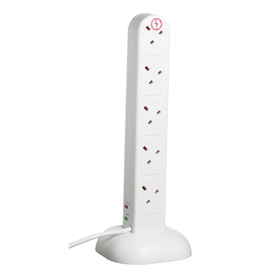 p A pillar type unit, the extension has a 2 metre power lead which is securely held in the base when not in use or in storage. 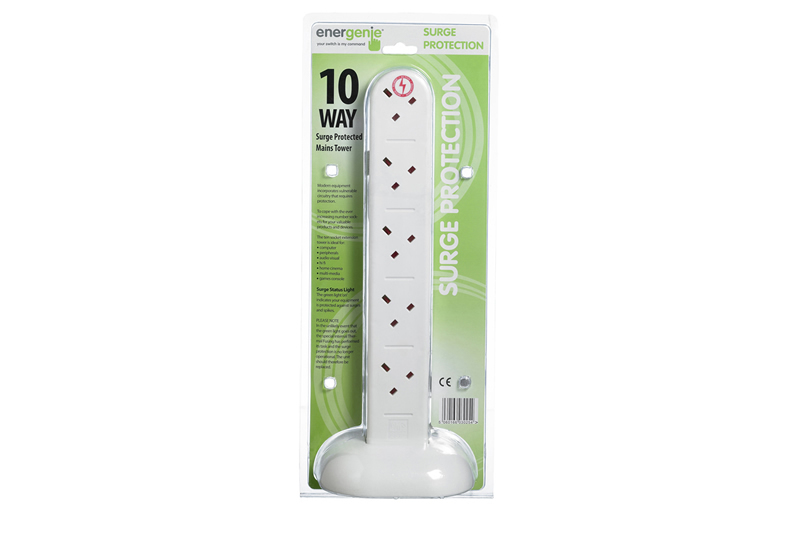 With a wide base for stability, the socket outlets are angled for ease of access and there is a top mounted lamp indicator. 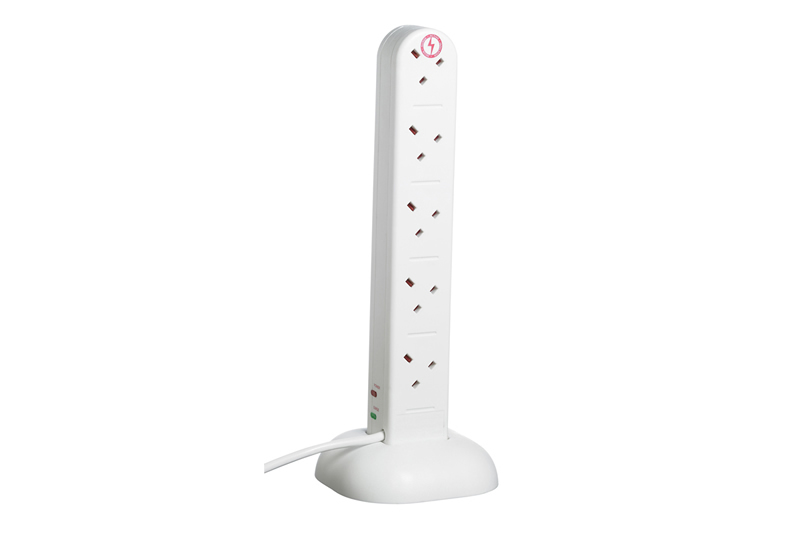 br / Total rated load is 13 amps at 240V.